Currently, Sir Richard Branson, CEO of Virgin Group is planning to launch services of Virgin Atlantic over Mumbai-London route. He is actually having the idea to invest huge amount of money in some of the high-speed passenger services of Indian Railways. Last week, on Thursday, Sir Richard Branson announced for his investment in several high-speed passenger services related with Indian Railways. Indian Railways is analyzing the feasibility of several attractive private investments for running high-speed trains in six different routes. In addition, authorities of Indian railway group are analyzing several options of collecting funds. Furthermore, Sir Richard Branson has recalled the ways, in which he has first get the idea to invest huge amount of money in Indian Railways. 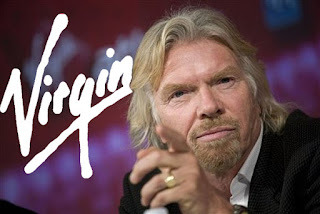 According to Branson, “My incursion in to the scene of British Railway had taken place after one of the journalists have asked me, whether I should establish my feet in railways or not. After this, the day, on which I have observed the news flashed in one of the reputable Medias, I have started finding large number of British Rail authorities and started establishing contact with them.” Incidentally, Virgin Railway group has moved on to the Court after it has failed to renew its operating license in one of the competitive bidding process. Before this, railway group possesses train-operating license for 15 years in UK and have offered privatized railway services.